Today – well, tomorrow in the Northern Hemisphere – 4N’s MVT01/42 watch will be shown at the Rendez-Vous de l’Horlogerie de Monaco. What looks like a digital watch is actually the result of rotating discs, working to display a 12-hour time. Indeed the company name, 4N, derives from the ‘four numbers’ used to display the time on the watch face. 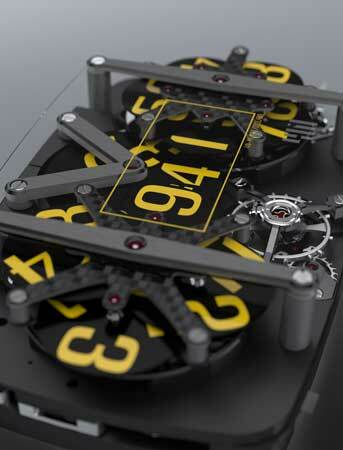 Four discs are used to display the hour, five the minutes, and one to show tenths of minutes. 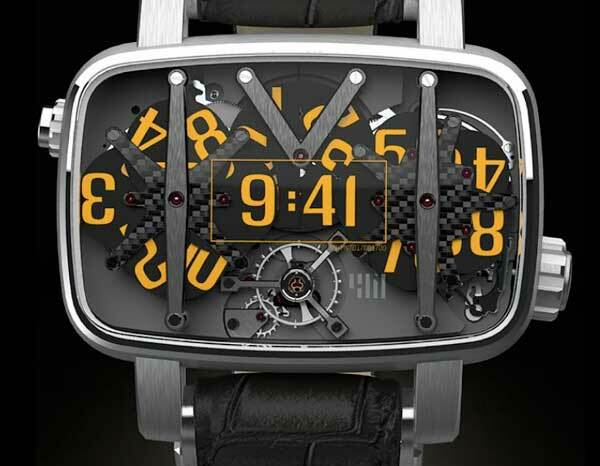 4N, founded by François Quentin, is the watch designer, and Audemars Piguet Renaud & Papi are the manufacturers of the MVT01/42. The watch is high-tech and hand-assembled, with a case made either of 18-carat white gold or platinum. Only 16 of the MVT01/42 watch will be made, so it’s safe to say it won’t be selling for $99.95. It will be available to buy from September 2011, with orders taken at the 2011 Basel exhibition. Do you love it or hate it? Myself, I’m in the love it group. Anyone want to make a guess at how much the 4N MVT01/42 might cost? Comments below.